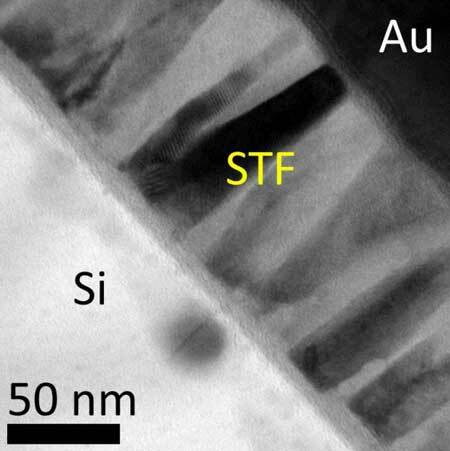 Oxygen defects like nanopillars enhanced magnetic and magnetooptical response of STF films. 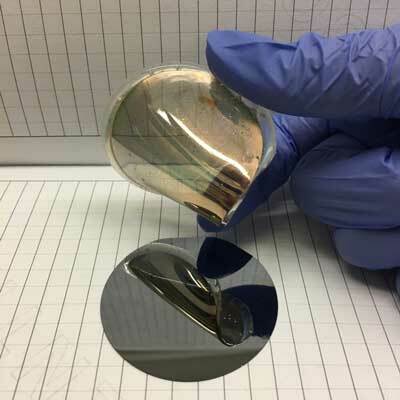 Researchers lengthened the lifetime of perovskite solar cells by using nanotube film to replace the gold used as the back contact and the organic material in the hole conductor. 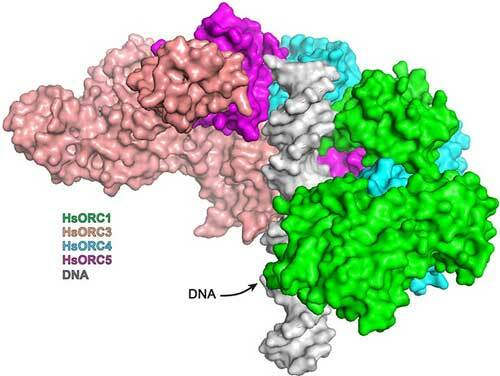 A team has published pictures at very high atomic resolution of the multi-part protein complex that performs the very first step in the incredibly complex genome-replication dance that occurs when one cell becomes two. 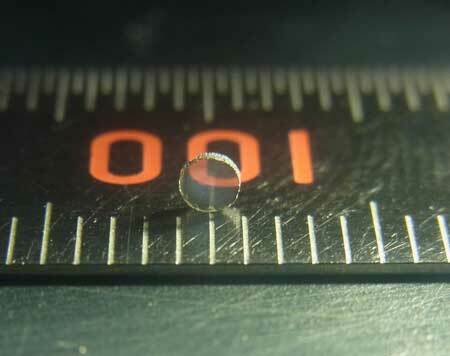 Researchers synthesize first sample of transparent silicon nitride. 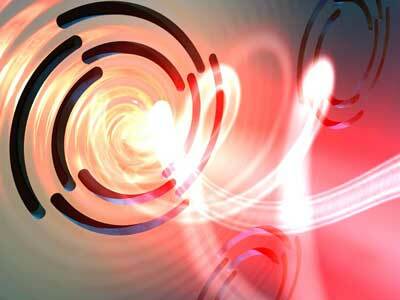 Scientists have been able to reveal for the first time the dynamics of the orbital angular momentum of plasmons. They used a combination of extremely high-quality single crystals of gold, ultrafast laser pulses and an electron microscope. 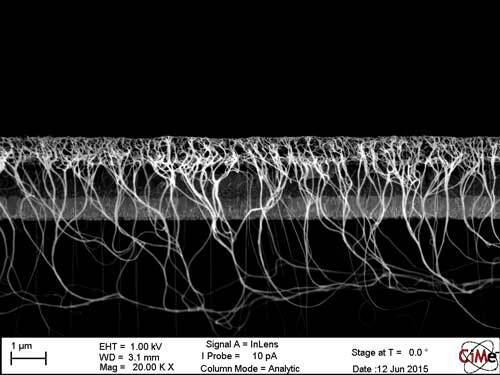 In work that could help make possible a faster, longer-lasting and lower-energy method of data storage for consumers and businesses, researchers have developed a technique for imaging and studying a promising class of magnetic devices with 10 times more detail than optical microscopes. 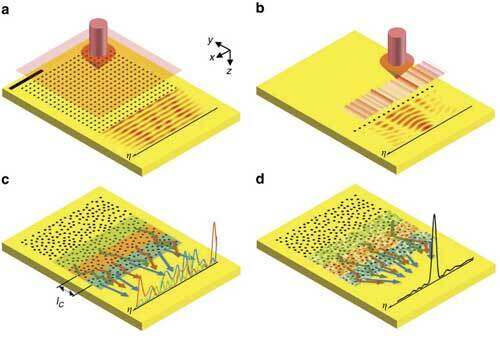 Researchers have devised disordered arrangement of the antennas to minimize redundancy between the antennas and enabled each antenna to function independently. As a result, the device can provide 40 times wider bandwidth than existing antennas periodically arranged. Carbon spheres in fullerite may be packed in different ways, and the hardness of the material strongly depends on how the fullerenes are connected to each other. Some day, your smartphone might completely conform to your wrist, and when it does, it might be covered in pure gold. 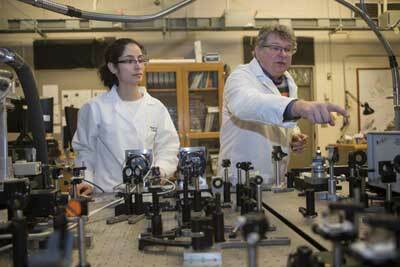 Physicists manipulate nanowire semiconductors in pursuit of making electronics smaller, faster and cheaper. 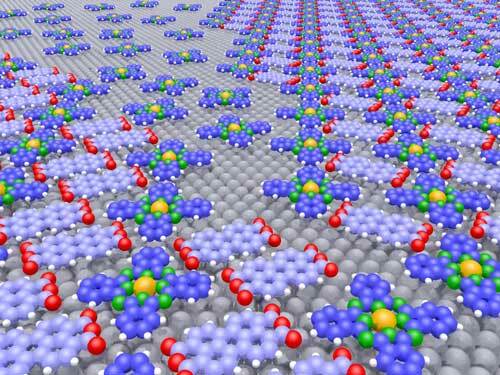 Researchers have succeeded in controlling the growth of organic molecules using a special trick. Molecules that repel each other play a key role in this process: due to their opposing forces, they always keep a certain distance from their neighbours. Researchers have developed a potential new drug to tackle the highly aggressive 'triple negative' breast cancer - and a nanoparticle to deliver it directly into the cancer cells. 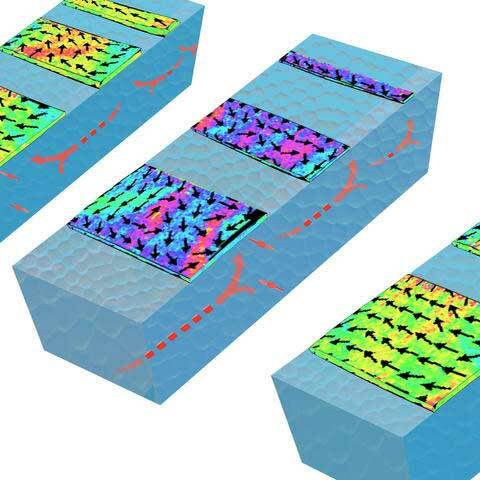 Scientists have developed a method to protect DNA origami structures from decomposition in biological media. 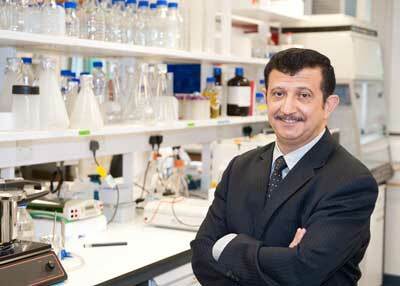 This protection enables future applications in nanomedicine or cell biology. Double flow concept widens spectrum for protein crystallography. 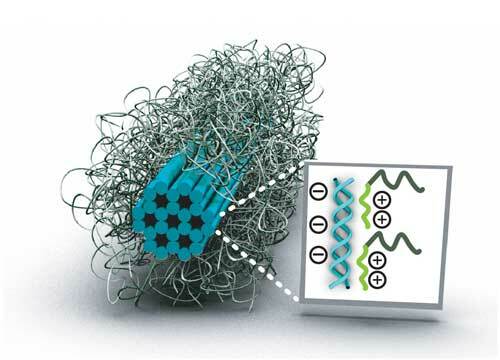 What is happening inside nanocages for gold nanoparticles? 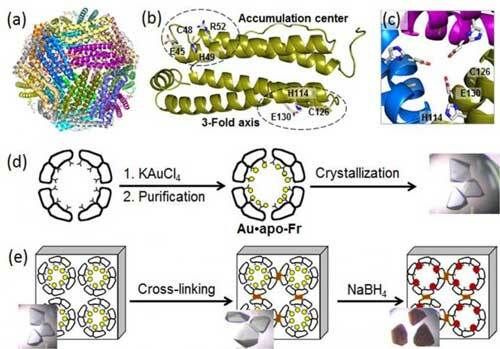 To disclose molecular processes behind AuNP growth in protein nanocages, a group of biomolecular engineers used high-resolution crystallography and analyzed the formation of Au nanoclusters in ferritin. GreenDiamond, with its 14 partners, is a European Horizon 2020 project to develop breakthrough 10 kV diamond transistor technology for sustainable high power electronics.